The miracle of Spring is now very close. 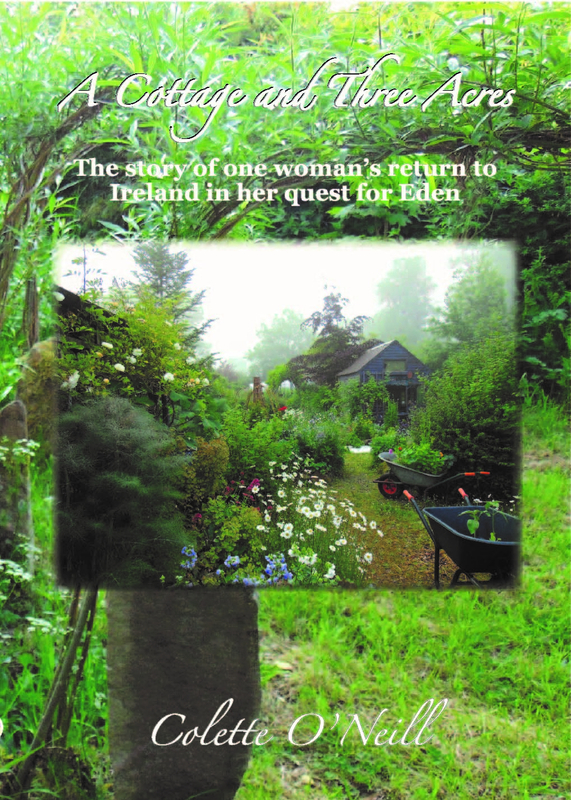 Birds are beginning to sing and all over the woodland gardens of Bealtaine Cottage, life stirs. I am sharing this post with you all today, as Willow can be collected at this time of year and used to great beauty in the garden. Making a Willow Arch for the Lughnasadh Garden…this is a living arch and will provide food for the Bees. Take two long lengths of Willow.Any length over 6ft will do! 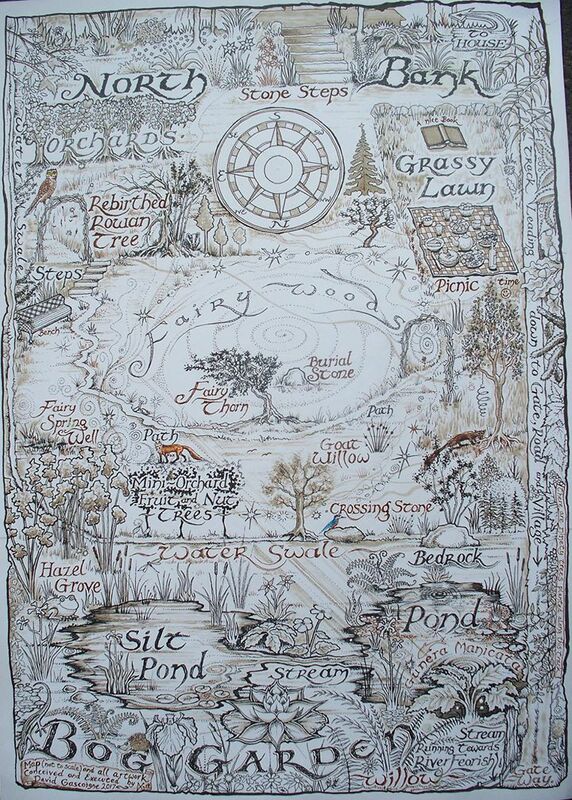 All long Willow is suitable for this project. I used a mix. Strip off leaves…no need to do this in winter or early spring. Insert each piece into earth on either side of what will be ab entrance…so, 2-3ft apart will do! Push each piece of willow in a minimum of 3 inches. Wind the tops together over your head. This will be the finished height, though it will continue to grow! Twisting will tighten and strengthen the arch. Add more lengths and use each new one to tighten and straighten the arch…pull into shape as you twist. If you feel you,re not getting the shape you want, lengths can easily be removed and you can start again…don’t be afraid to experiment! Now add a second arch about 6-10 ins behind the first. Once in line, insert some more willow by this new arch and pull the lengths forward to the first one…about halfway up the structure as seen here. Do the same on the first arch, pulling the lengths onto the second, so both criss cross. You may add some more Willow…but this is the structure safely in place, where it will continue to grow and thicken. This will form one of the entrances to the new Lughnasadh Garden. 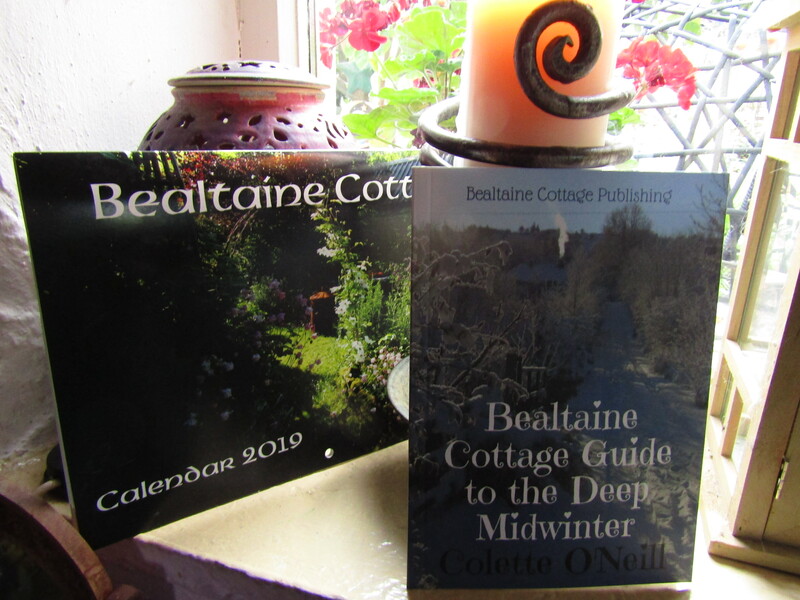 There is a selection of books written by Colette O’Neill at Bealtaine Cottage, available here…the bookshop supports the entire work of the Bealtaine Project. 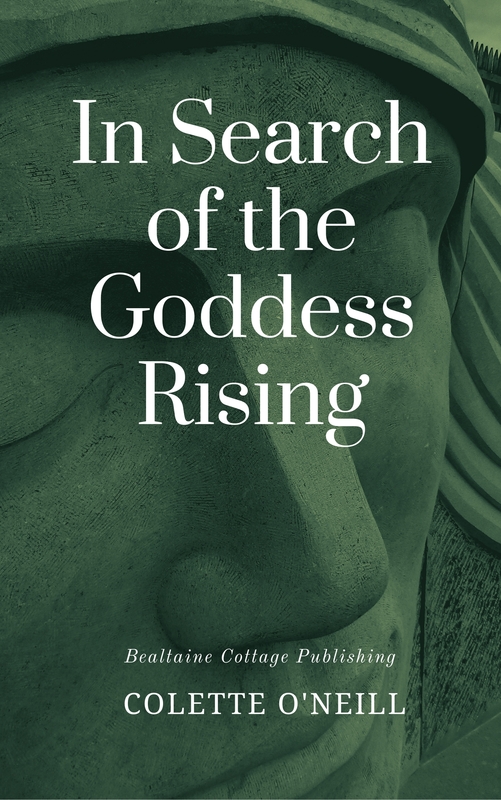 This is the second book in the Goddess Permaculture series from Colette O’Neill at Bealtaine Cottage, Ireland. 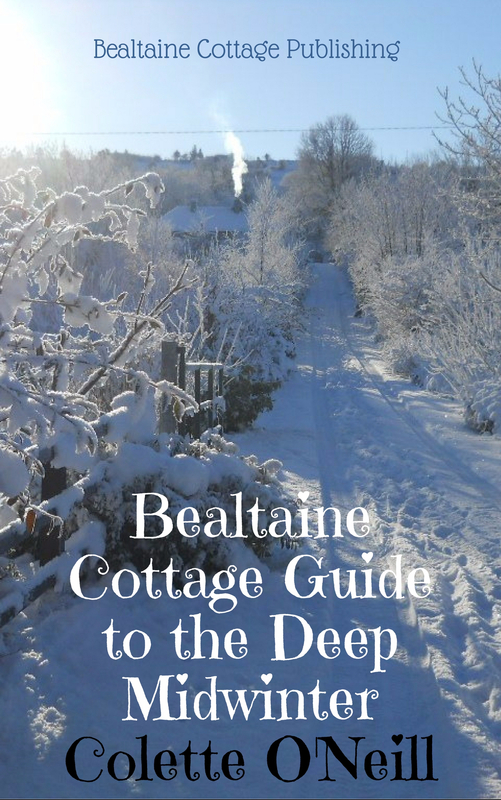 In this book I explore the ancient landscape, mythology, literature and life around Bealtaine Cottage… in search of the Great Goddess. The price of the book includes all postage and packing to wherever you live in the world! 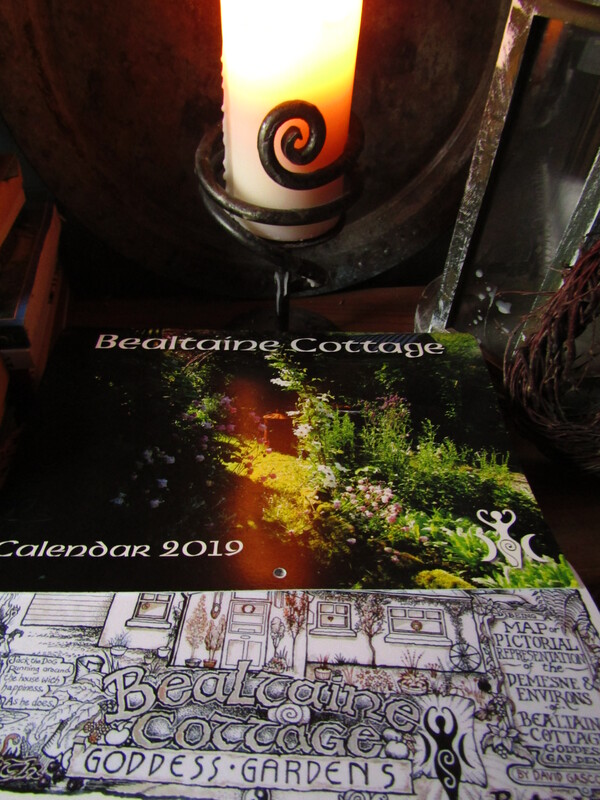 Bealtaine Books and Maps are printed in Ireland and posted from Ireland to support the people of Ireland. I just ordered your book. Can’t wait. I love your blog, how admirable you are and what an inspiration to me. Every day is Earth Day. May every day be happy for you! Thank you for sharing the info on how to make willow arches. The circle of arches you’ve made is beautiful. Blessed be. Lovely collection of crafting and life in Ireland is helpful to anyone trying to restore property or homesteading as I am on 10 acres. I never knew how they were made before, so thanks for teaching me something new. That does seem straightforward. Did you just cut lengths from a mature willow tree or were they from coppice? Hi there Collette, just got a link to this sent to me, in your TAGS for the link, one says oreland instead of Ireland.